One summer, Jim Sterba accepts an invitation from Frances FitzGerald to visit her log cabin. Imagine a secluded little house in the woods ont het Atlantc coast, out of harm's way and the claour of the modern world. 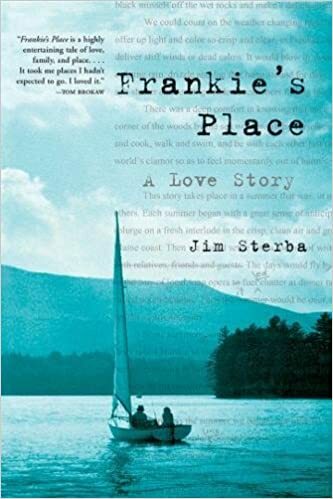 Enchanted by morning dips in glacial fjords and fresh lobster suppers, Jim falls in love with Frankie's place, and also withe Frankie. This s the tale of their gentle courtship aas the couple summer on this idyllic retreat, Mount Desert Island.